The Constitution's first words are "We, the People," but the Framers crafted rules designed to restrain the will of the people — above all when it came to the selection of presidents. Trump places great stock in the legitimacy conferred by opinion polls and TV ratings and the size of the crowds at his rallies. The Founders, by contrast, feared the tyranny of majorities, and crafted rules designed to restrain the will of the people — above all when it came to the selection of presidents. The Republican Party's delegate allocation rules may be complicated, but they aren't arbitrary. The more Donald Trump complains about how 'rigged' they are, the more he highlights his own unfitness for office. For all the fervor of presidential campaigns, and for all the focus on the popular election in November, it is actually the Electoral College that chooses America's chief executive. The Constitution grants each state a free hand in choosing its electors, and those electors are not constitutionally bound to vote for the winner of their state's popular vote. Granted, they almost always do so. But under our system — not a direct democracy, but an indirect democratic republic — the states, not the people, elect the president. The framers wanted a government that could resist populist pressures; the Electoral College is one of many fail-safes they fashioned to protect American liberty from the dangers of popular frenzy. Similarly, the Republican and Democratic parties have created a presidential nominating process that requires more than winning votes in primaries. Voters get a large but not decisive say in choosing a nominee. Party officials, grass-roots activists, and elected officials share power, too. Convention delegates are not mere rubber-stamps; their role is to elect a nominee around whom their party can rally. That may be the candidate who leads the delegate count when the convention is called to order. Or it may not. 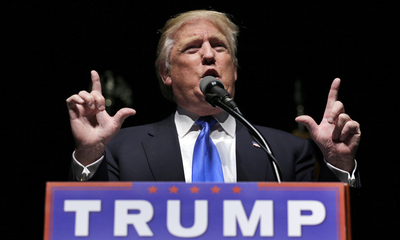 If Trump wants the GOP nomination, he'll have to play by the rules and earn it. Those rules may be complicated, but they certainly aren't arbitrary. And the more Trump whines about how "rigged" they are, the more he reveals his own unfitness for office.